So much advice about bodybuilding diets is off the mark. There’s no point being diplomatic: much of what you read on weight training and bodybuilding sites about how much protein you need, what supplements you need, how you should eat and why are just plain wrong. Weight training and bodybuilding nutrition are sciences like anything else in the fitness sciences: it’s biology and biochemistry and physiology and it has rules and a base of evidence. Here's what you need to know about diet and nutrition for weight training and bodybuilding. In fact, it’s not all that different from a normal healthy athlete’s diet, except for some emphasis on quantity and meal timing in various training phases. This, however, is where the detail becomes very important. Although various diets like Atkins and South Beach and Ornish have become popular, the general consensus among dietitians and nutritionists is that a healthy diet is somewhat different—less stringent in requirements and more balanced across the major nutrients. You can see the key recommendations for the general population in Dietary Guidelines for Americans. Guidelines from other western countries like the UK and Australia are similar. Recommended dietary intakes or allowances (RDI or RDA) are set by authorities for all essential nutrients—protein, fat, carbohydrate, and vitamins and minerals. Overeat. Increase your daily intake of energy (calories) by about 15 percent. You could do this with guesswork or you could work out your normal requirements using various formulae on the net and then increase food intake accordingly. Try Joanne Larsen's terrific Healthy Body Calculator. It should not be all protein but the extra protein you consume, either in supplements or protein foods, should be low in fat. More on this later in the article, but you should stay close to the current guidelines for protein requirements for weight trainers. Hiring a sports dietitian with some experience in weight training is also an option. Train with weights. Commence a solid weight training program targeting all the main large muscle groups such as the arms, legs, shoulders, chest, back, and abdominals. The extra energy you consume will fuel muscle growth as the exercise stimulates growth. Cut, lose, and shed. This means that you are now bulked up with extra muscle and fat, and you need to lose much of that fat while maintaining the muscle. Gaining fat is somewhat inevitable during this process but you should be especially careful to eat healthy food at this time. Fast foods should be kept to a minimum. Eat healthy but big. Remember what I said about catabolism and anabolism previously in relation to weight loss? You are now going to attempt to do just that: shed fat and hold onto the lovely muscle you gained. Your energy intake should now be cut back by the 15 percent you added with the objective of losing fat and maintaining that muscle. Because you're now not the lean guy you once were, you may have to eventually eat slightly more to maintain that extra muscle, but not right now. In this cutting phase, the diet should be low in fat, around 20 percent, and protein intake should be maintained, which can help protect muscle. For example, if your protein intake was 1 gram/pound of your body weight per day (2.2 grams/kilogram) when you were bulking up and overeating, you would now keep that protein intake constant while cutting excess fat and carbohydrates, particularly added sugar and sweets and white flour products, all the while keeping up the supply of those antioxidants in fruit, veggies, and whole grains. In either phase, you really don’t want to exceed 1 gram per pound of body weight of protein (2.2 grams/kilogram). A little more probably won’t hurt a healthy person but chances are, based on the science of protein requirements for athletes, it won’t help either—only cost you in expensive supplements or food. Any hint of kidney disease and you would need to be cautious about excessive protein intake. Consult your doctor for advice if this applies. I emphasize protein intake because the tendency of some male weight trainers is to shovel in the protein in the form of shakes and supplements and the occasional whole turkey without figuring out how much is useful or even how much they are ingesting. The numbers above are actually at the top of the range of possible requirements. 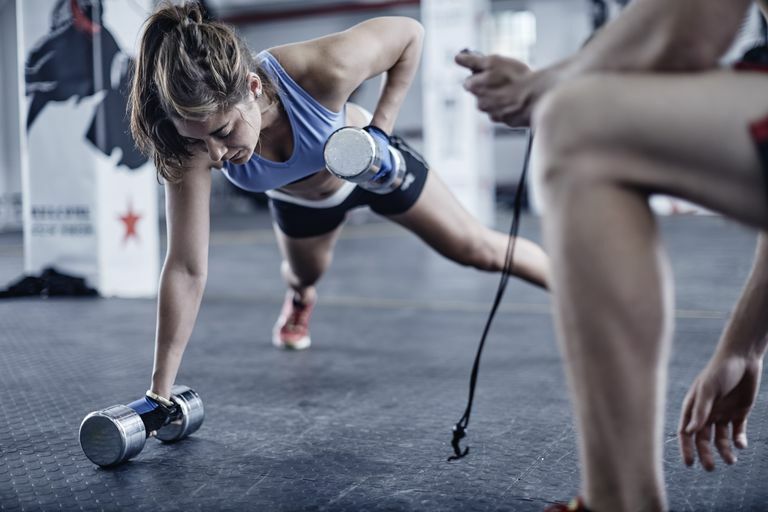 The American College of Sports Medicine estimates the requirements for strength trainers at 1.6 to 1.7 grams per kilogram body weight per day (about 0.8 grams per pound). If you don't do high intensity or long sessions, and only a few days a week, this is likely to be in excess of requirements as well. Now that you’ve muscled up and got ripped to low body fat levels you'll want to know the best way to eat and train to stay that way. Eating for elite athletes is taken very seriously by sports nutritionists and coaches—or it should be—because a few fractions of a second in a sprint or a few seconds in longer races can mean the difference between a gold medal and a “thank you for coming”. Even in the amateur ranks, it’s just nice to know that you are maximizing your workout by eating in a way that makes the most of your hard work. Meal timing and constitution before and after exercise is an important part of this. Weight trainers don’t usually expend the amount of energy that an endurance athlete does in training, so one doesn’t have to be as acutely aware of the intake of carbohydrate required to fuel such effort. For example, a heavy-training marathoner or triathlete may require 7-10 grams of carbohydrate per kilogram body weight per day (3-5 grams/pound/bw/day). Take it from me that this is a lot of carbohydrates – more than 32 slices of bread equivalent for a 150 pound (70 kilos) athlete minimum. The main meal should be eaten 3-4 hours before exercise. Consume around 10-20 grams of quality protein within 30-60 minutes of the weights session. Research has shown that an intake of 6-12 grams of essential amino acids, which is equivalent to 10-20 grams of a complete protein, promotes enhanced muscle protein recovery and rebuilding after the workout. One gram per kilogram body weight (about 0.5 grams/pound) of carbohydrate taken with the protein may assist this anabolic boost. Some trainers call this a protein 'shooter'. Various protein bars and protein shakes and powders—check the labels for percentages and quantities. Unless you do extreme sessions for considerably longer than an hour, include intense cardio or strength-endurance weights programs, or ate poorly in the hours leading up to the session, you probably don't need anything other than water to get you through in good shape. And good shape means not letting your blood and muscle glucose get too low at which point cortisol and other hormones will be looking to break down your muscle. It's a fine point but one that's worth considering. You don't need expensive and probably useless supplements to protect you from catabolic cortisol surges, all you need is some carbohydrate from a sports drink, gel or bar. How you eat to recover from exercise is one of the most important principles in exercise nutrition. If you don’t refuel sufficiently after each session, your glucose (glycogen) stores in muscle can get depleted leading to tiredness, poor performance, and even immune system suppression and infection. Glucose is the athlete’s and exerciser’s main fuel. You get it from carbohydrate foods and drinks. What's more, inadequate refueling after your session won't take advantage of that hard muscle work by giving those muscles an anabolic boost that repairs and builds. Weight trainers do not use as much glucose fuel as the higher intensity or higher duration aerobic sports like track and endurance running and cycling, but even so, it pays to keep those glycogen stores topped up if you want to be at your best in training. You will notice glucose depletion more after muscle endurance and hypertrophy programs where higher repetitions, perhaps to failure, are slated rather than the low-rep strength sets where direct ATP (adenosine triphosphate) is likely the main fuel. Low numbers of repetitions with heavy weights are used to develop strength, whereas lighter weights and more repetitions are used to build muscle size and muscle endurance. The latter is likely to expend more energy. If you're serious about this and want to take a precise approach, it's worth buying one of those little calorie counter books or jumping onto a website to check out how much protein or carbohydrate is in any food. You definitely don’t need to consume excessive quantities of protein in any form to build muscle and support your weight training or bodybuilding activity. Try not to exceed 1 gram per pound of body weight of protein daily. That may be a little more than what you will need but you don't need more than that. Don't worry too much about the finer detail of calculating quantities if you don't wish to. The detail is there for those who can use this precision, but most people don't. Experience and getting to know how your body works is probably more important, as well as trial and error within the information provided here. Check out these main points. Don't use protein supplements excessively. You can get the required amount of quality protein from lean chicken, fish, soy, skim milk and some red meat. Some weight trainers do better with six smaller meals a day rather than three larger meals. Don't fret about this; it doesn't suit everyone. However, always eat breakfast. Eat a healthy diet low in saturated fat and cholesterol and high in fruit, vegetables, beans, whole grains and quality monounsaturated and polyunsaturated fats in nuts, seeds, and oils. Dietary supplements are big business. Some work, some don't, some affect performance negatively, some are hazardous and some are illegal and will get you banned in international sport. In fact, many are a waste of money and a con. Protein powder supplements, particularly whey-based supplements, do have a place in supplementation for busy weight trainers, it's just that they're not used with precision and knowledge by many, and cheaper solutions may be available. More on that later. The effectiveness and use of legal supplements in weight training is an extensive subject, which I will address in a series of articles at About Weight Training. Put these ideas into practice, see if it works for you and let me know if you have any questions or suggestions. American College of Sports Medicine; American Dietetic Association; Dietitians of Canada. Joint Position Statement: nutrition and athletic performance. American College of Sports Medicine, American Dietetic Association, and Dietitians of Canada. Med Sci Sports Exerc. 2000 Dec;32(12):2130-45. Burke L, Tipton K et al. Nutrition for optimal recovery after training and competition. Special Report, Department of Sports Nutrition, Australian Institute of Sport, 2006.